Blockchain is a form of technology that changes technology and serves as the foundation for most cryptocurrencies. Blockchain enables immutability (Permanence) as well as transparency; cryptocurrencies such as Bitcoin run on blockchains that were built with a specific mindset of maintaining complete decentralization as well as ‘being your own bank’, however, since then, other blockchain projects have taken the initiative to tackle other markets and specific niches. Steem, the underlying cryptocurrency, and blockchain of the ‘Steemit’ platform have directed its aim at creating an efficient, incentive-based community in the form of a social network. Buying Steem is required in order to partake on the network, and this can be confusing for any newcomer to blockchain. This guide will overview how to purchase Steem and get started with the cryptocurrency that runs the Steemit network. We’ll go over how to register an exchange account for purchase of Steem, how to utilize the cryptocurrency that maintains one of the highest throughputs out of all competitors, and how to manuever the various exchanges and platforms that list the asset. Cryptocurrencies are relatively new technologies, however, there are multiple exchanges that offer direct PayPal integration to make the process of buying cryptocurrencies easier and to an extent safer (Meaning you don’t have to enter sensitive information on additional exchanges, rather just link one PayPal account). These supported exchanges can be found here. Steem, represented by the ticker of ‘$STEEM’ on the open markets and other exchanges, is a cryptocurrency that serves as the fuel and main currency that powers the Steem ecosystem. Steem is a multiple pillared ecosystem; it is a blockchain, cryptocurrency, and hosts a social network called “Steemit” that runs on the Steem blockchain and utilizes the Steem cryptocurrency to enable efficiency in a social setting. To better understand Steem, the pillars can be further analyzed and placed into finite categories. First, let’s go over the Steem blockchain; it’s the foundation of Steem. A blockchain is a form of technology that connects all users of the said ‘blockchain’ together through ‘links’. These links then form a ‘chain’ – if any of the links in the chain are changed, the entire chain becomes invalid. Therefore, none of the prior links can be changed as this would cause the entire chain to become distressed. Bitcoin runs on a blockchain as well, however, Steem’s blockchain is a bit different because it is less decentralized than Bitcoin, but it enables higher throughput (Faster transactions and confirmations). The Steem blockchain can process over 6 million transactions per second. The functional pillar of Steem is ‘STEEM’, the platform’s cryptocurrency. Steem runs as a cryptocurrency above the Steem blockchain. Steem can be sent and received to other users and also utilized on the Steemit platform as something relative to incentives within the ecosystem. If users create a positive post or content that another user finds helpful, the Steem cryptocurrency can be used as ‘upvotes’ or similar for these rewards. However, as a currency, Steem can be transferred between users and wallets, or utilized for purchases online through different merchant providers. The platform that Steem is so well known for is Steemit; Steemit can be compared to a social media platform where users can share posts, tutorials, videos, or just general content with one another and then use the STEEM cryptocurrency to add to the general ecosystem. You can compare this to a site like Twitter where you’re free to add content to site, interact with other users, and share images with one another while building a ‘follower-base’. Think of Steemit as something similar, however, with an added layer of monetary incentive. Steem users can give others Steem, or collect them for valuable posts that are added to the site. Steem has maintained an important presence in blockchain and cryptocurrency as a whole because of its unique method of integrating both social interactions online and monetary incentive through the blockchain. The Steemit platform, for example, is definitely not the first time that users can be rewarded for interacting with one another online, however, it’s one of the first instances that enables participation online straight through the blockchain. There are multiple ways to go about creating a STEEM wallet. The most important factor is to assess which utility that Steem enables that you want to choose; if you’re looking to get started with Steemit, the social networking platform, creating an account on the website or the application will automatically generate a wallet for you. Upon registration of Steemit, you can navigate directly to your profile page, and directly underneath your profile information on the main page, you’ll be able to see the string of letters and numbers that are provided for you. This is your Steem wallet. You can also create a Steem wallet directly with the third party provider ‘Steem Wallet’, which is a trusted and verified source for creating a Steem wallet. The link for this can be found here. Once here, you’ll have the ability to either log in to your existing Steem account or sign up for a new account. As demonstrated in the image below, you’ll be prompted with this page no matter which selection you choose. (Step by Step) How to buy STEEM on eToro? eToro is regulated and registered with the FCA and CySec (Cyprus Securities Exchange Commission), which means it maintains a high level of security and safety for its consumers/customers that are involved, however, at the moment, eToro has not listed Steem as a supported or purchasable asset. 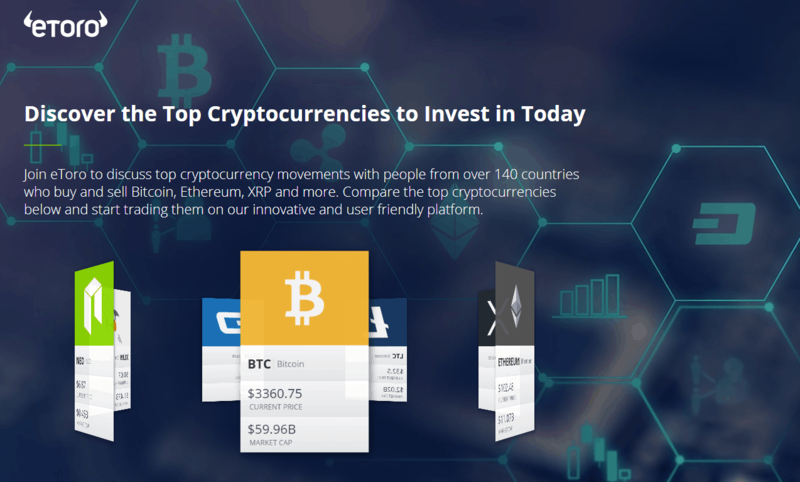 This does not mean that eToro won’t list the social network-focused cryptocurrency within the near future, in fact, it’s very possible considering a large number of cryptocurrencies and related assets that eToro has made significant efforts recently to add to their supported assets. Keep in mind, eToro does not have insurance and other FCA related support for listed cryptocurrencies. 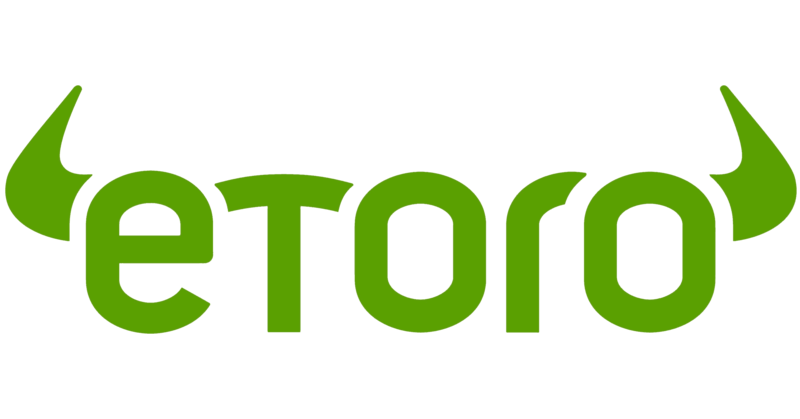 eToro itself is a regulated/registered exchange, however, the parameters or ‘benefits’ so to speak in terms of registering/regulating with the FCA are fairly limited. Binance is a Malta-based exchange. It is one of the current most-trusted cryptocurrency exchanges primarily because it has maintained a transparent executive team and protected itself against a long list of hacking attempts, and stood its ground despite other exchanges losing reputability because of hacking attempts. Steem is a supported asset on Binance, which means you can purchase it on Binance relative to the base cryptocurrency pair that is provided. 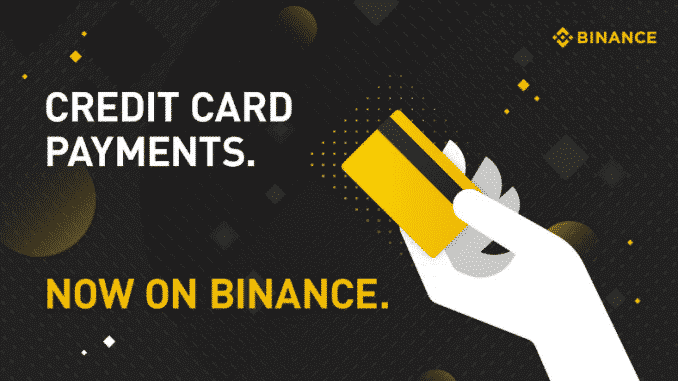 On Binance, you have a choice of purchasing Steem using Bitcoin, which is very convenient with its integrated credit-card functionality. We’ll go over how to buy Steem on Binance and walk you through exactly how the process is undergone. To start out, make sure you have a valid internet connection (Binance processes a lot of information on singular pages and since you’re dealing with sensitive information, you want to make sure you have reliability on the technical side of things), as well as a valid email, and a funding method (Credit card or pre-purchased Bitcoin). The first step to purchase Steem on Binance is to create an account with the exchange. You can do this by navigating to the site’s main page and selecting the ‘Register’ button located directly next to the ‘Log in’ selection. Upon selecting the registration button, you’ll have to provide a valid email address as well as a username and password. Make sure this is a safe and secure password that you don’t share with anyone as your funds will be stored online through this key pair. Once you’ve registered, go to your email (The address you provided during registration) and look for the verification email that was sent to you. Click on it, and you should be redirected to a new page. From here, login to your newly created account and you’ll then be able to access all of the functionalities on Binance. It is recommended that you enable some sort of second factor of account verification either by an additional phone number, email account alternative, and so on. This will ensure that in any case of account hack or hijacking of servers that you have an extra layer of security relative to your account. The next step is to fund your Binance account so you can actually purchase some Steem. After you’ve registered and moved forward with the account creation process, the next step is to fund your account. Your Binance account can be funded through multiple methods. The easiest method is to deposit a base cryptocurrency, such as Ethereum or Bitcoin and then use that to buy Steem. In the following image, the deposit function is enabled by navigating to ‘Funds –> Deposits’ and then searching for a cryptocurrency to deposit. 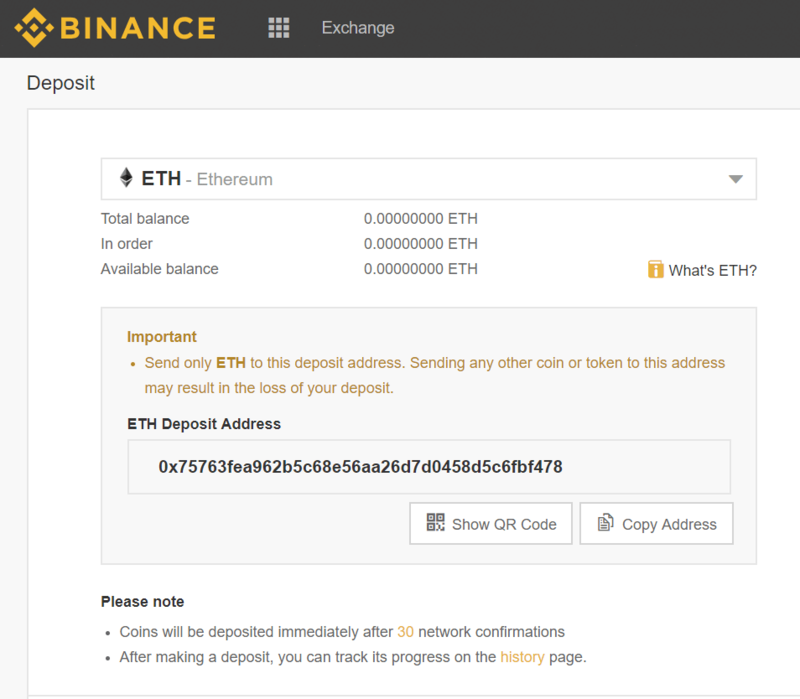 In this case, we’re depositing Ethereum to the address that Binance generated for us. Upon the final confirmations, you’ll see that your overall account balance has been updated. Additionally, you can also purchase one of the base cryptocurrencies that will be used to buy Steem by using a credit card. For example, you can go to ‘Funds’ and then on the drop-down you can select ‘Buy with Credit Card’ which gives you the option to select a base crypto (Such as Bitcoin), and then deposit that to your account (Which we’re then going to use to buy Steem, or exchange for Steem). Binance enabled purchases of main cryptocurrencies using credit cards recently through an effort to appeal to a more retail audience. This means if you’re in a proper jurisdiction, you can use a credit card or bank card to make a purchase on Binance. Once you’ve added funds to your account by either 1.) Depositing a base cryptocurrency such as Bitcoin or Ethereum that can be exchanged for Steem or 2.) Using a credit card to buy Bitcoin or Ethereum on Binance, you can then move on to the next step where we’ll actually be purchasing Steem. In your account, assuming you’ve deposited funds successfully, navigate to the left-hand side of the exchange under ‘Markets’ or ‘Exchange’ and then choose ‘Basic’. Once selected, the next step is to find the Steem markets and make a purchase order to exchange our base cryptocurrency for the Steem. This can be done by going to the magnifying glass icon, selecting the “BTC” markets, or your desired base cryptocurrency as long as Steem is supported to this pair and in the input field typing in “STEEM”. The STEEM/BTC pair is what we’re looking for. Click on this and you’ll be able to see that the Steem price pair on a visual chart and its performance over time. What we’re looking for however is the section underneath the price chart, which are the buy and sell order sections. Both of these areas are where we’ll specify how much of Steem and at what price we want to purchase Steem at. Particularly, we can streamline the process for purchasing at a specific price by selecting ‘Market’ order instead of ‘Limit’ order. In this case, we don’t have to specify what price we want to buy Steem at, as it will simply execute our order that the next available price on the market. Enter in the quantity of Steem you want to purchase relative to the convertible price as specified in the image below, and press ‘Buy Steem’. The order will be sent to the markets, and depending upon liquidity, will execute. You can then check your balance to see that your Steem account balance has been updated. Coinbase does not support Steem at the moment, and it’s unclear if this is to change within the coming months. Coinbase is a United States-based cryptocurrency exchange and retail service provider, and it’s unclear if the exchange has any plans to change this in the near future. A Steem listing on Coinbase is definitely not impossible, considering Steem has garnered significant traction within the blockchain and cryptocurrency community. Also, in combination with Coinbase’s active willingness to vet and list multiple cryptocurrencies, this enables an even higher chance for Coinbase to have Steem listed on the platform. At this time, there is no confirmed plan for a Coinbase listing, so be wary of other sites or brokers who are claiming they have connections at Coinbase that are asking you for money as in many cases these will be scams of sorts. Plus500 is a multi purpose financial services firm with cryptocurrency and alternative asset trading. The firm has served as an option for trading cryptocurrencies in the form of both CFDs as well as other financial products, however, Steem is currently not supported/listed by the exchange. This isn’t to say that this will never be the case; Plus500 has maintained an impressive sense of keenness when it comes to adding newly supported assets, and with Steems’ overall positive outlook, it’s definitely a possibility within the foreseeable future. If you’re in the UK, the most reasonable and accessible option for purchasing Steem is from the Binance exchange. As Binance enables credit card linkage, the process is fairly the fastest when done with a credit card and on Binance. Binance is one of the most trusted exchanges within the overall cryptocurrency and blockchain community and has maintained its stance for quite some time now. 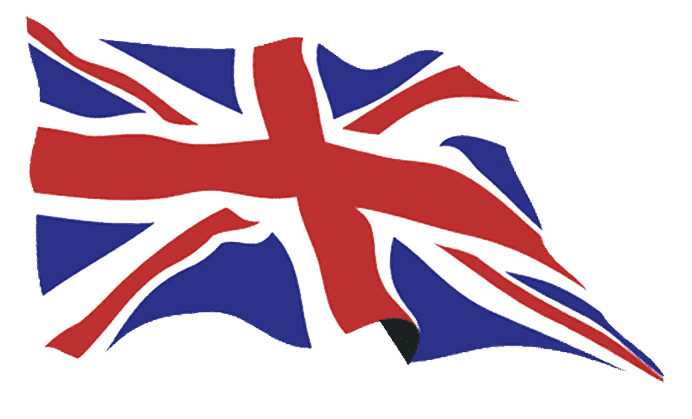 You can purchase Steem directly on Binance if you’re in the UK using any of the offered methods; as it stands, there is no current regulation as far as the UK and enabling certain trading of Steem, however this can definitely change so it’s best to stay up to date on any important changes in the overall regulatory framework for the UK. Those who are looking to purchase Steem that are residents of the US and Canada can be happy to know that this can be done seamlessly through the Binance exchange. Residents of the US and Canada can sign up immediately on Binance without verification and can proceed to choose a funding method to begin their purchase of Steem. Residents of the US and Canada are free to purchase Steem after linking a base credit card, or can immediately swap any deposited Bitcoin on Binance for Steem as well. 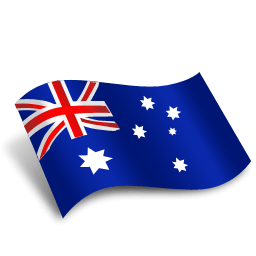 Since Australian favored exchanges including eToro and Plus500 are not supported at this time for Steem asset listings, however Binance does in fact allow Australian residents to register and purchase Steem on the platform. Australian residents are free to purchase Steem on Binance through either a credit card or a base cryptocurrency (Via a deposit in something such as Bitcoin). Otherwise, there’s no current issue in Australia in regards to cryptocurrency. You own the underlying Steem in its entirety and aren’t subject to usage restrictions. Buying Steem will usually be associated with longer term holds over the course of months or years. Steem can be transacted and utilized just as any other cryptocurrency when being purchased through its underlying form. You can only use Steem through Steemit if you’re purchasing Steem, not trading it. If you were to trade Steem, your intentions would be purely price-driven associated. Trading is usually based on speculation and is in quicker manners (Such as weeks, days, or minutes) as far as how long the asset is being held for. How to trade Steem with a trading robot? If you want to trade Steem using solely a trading robot, it’s definitely possible, however, you should proceed with caution. You can trade Steem using a trading robot by specifying on your platform of choice which traded pairs you want, and then you would select ‘STEEM’ relative to the trading pair of your choice. In this case, let’s say you were on a traditional trading robot and were on the ‘Assets to Trade’ page; here, you would specify that you want the trading bot to automatically trade STEEM/BTC or any other relative pair. This would include STEEM/ETH, STEEM/USDT, etc. Each would be the same and would enable you to trade Steem using just a working robot. The easiest and currently most efficient way to buy Steem using just a credit card is on the Binance exchange. For Binance, you do not need a validated or verified profile either, and you can get started with just a few clicks. 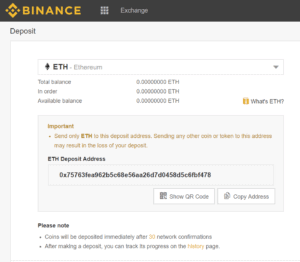 This can be done by logging in to your Binance account and then navigating to the top right of the main account bar. You should then be able to hover over ‘Funds’ which will then demonstrate a plethora of other options, including ‘Balances’, ‘Deposits’, and more. Select the option that is highlighted in the image below; “Buy with Credit Card”. Once you’ve selected this, you’re going to have to enter in your credit card information, specify which asset you want to purchase, and then press continue. Keep in mind, the goal is to buy Steem, so select an asset that is paired to Steem on Binance, such as Bitcoin. Enter in the number of funds you’d like to spend towards buying Bitcoin, and then hit enter. Then, once you’ve selected this option, the site will process your payment which can take a bit of time at first. Upon completion, you’ll then be able to navigate back to the exchange/markets section and look under the Bitcoin (BTC) markets for ‘Steem’ pairings. The trading pair can then be selected and you can indicate how much you want to spend. Selecting Market Order is the best and quickest option. Once executed, you’ve successfully purchased Steem using a credit card. There is currently not a directly streamlined method of buying Steem with PayPal, so the main method utilized is fairly unconventional. Steem can be purchased using PayPal first by using an online exchange that supports the purchase of Bitcoin with PayPal; we’ve indicated at the beginning of this guide which exchanges those are and which ones are the best to use. Once registered and verified on one of the exchanges we’ve indicated that can allow PayPal integration, you’ll need to purchase Bitcoin and then transfer that purchased Bitcoin to Binance, which supports Bitcoin to Steem exchanges. Then, you should have successfully acquired Steem relative to your PayPal funds. Using Bitcoin to purchase Steem can be done very quickly and efficiently on Binance. 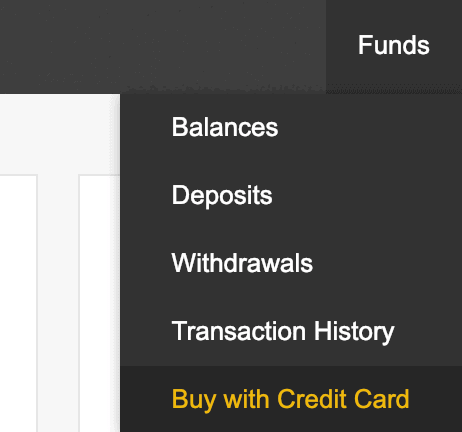 Log in to Binance, or register for an account if you don’t have one already, and then head to your ‘Funds’ tab of your account page. Find ‘Deposits & Withdrawals’. Use the magnifying glass on the right-hand side of the page and search for ‘Bitcoin’. You should see Bitcoin and then next to the listing find the ‘Deposit’ button. Click on this and a new address will be generated uniquely for you and used for depositing. Use this for your deposit. Once you’ve deposited it and the confirmations are complete you can then use the deposited Bitcoin to purchase Steem on Binance by finding the ‘BTC markets’ tab and looking for the Steem pair. Assuming you have Steem currently in your possession and are now wondering if you can sell it, the process can be done very quickly on the exchange of your choice; in any case, though, ensure that the exchange you’re selecting has listed and supports Steem trading relative to the asset you want to exchange it for. Binance is the most prevalent and will most likely be your choice in this case because of its ease of access and ease in ability to sell without account verifications. To do this, simply login to Binance (Or register if you don’t have an account) and navigate to the funds section. Find Steem, and generate a new unique Steem wallet address. Send Steem to this address that you want to sell, and wait for the confirmations to take place. Once confirmed, head over to the BTC markets section of Binance and find ‘STEEM/BTC’ –> Then, once you’ve selected this, scroll down the page and find the ‘Sell Steem’ section. Then, in the sell section, specify how much Steem you’d like to sell, and for which price. If you select the option of enabling a market order instead of a limit order, you’re opting for an order type that will execute immediately at the next best price available. The above image indicates what a sell order for Steem on Binance will usually look like. You’ve just learned how to buy Steem, how to utilize it with different exchanges, how to create a Steem wallet, the ins, and outs of purchasing Steem using alternative methods such as PayPal and have been given a brief aforementioned intro on what the ideology and concept behind Steem actually is. Our top pick amongst best services to purchase Steem on is Binance. Binance maintains a global nature in that it offers trading and simple purchases worth of Steem and is a great option for those looking to get involved with the cryptocurrency as fast as possible without roadblocks such as verification. If you like to receive articles like this into your inbox along with Steem news, be sure to subscribe to our newsletter. What's the difference between Bitcoin and Steem? Bitcoin and Steem are in fact both cryptocurrencies and can be sent and received to one another in a similar fashion, however, the two cryptocurrencies are very different from one another for various reasons. Steem maintains the ability and option for integration into a social platform, which is Steemit, whereas Bitcoin is entirely decentralized and harnesses no central platform for its usage. Bitcoin is technologically more decentralized than Steem, which also means that Bitcoin is technically slower than Steem, at the cost of incentive, though. Steem can process millions of transactions per second, however, Bitcoin maintains more distribution in its technology. Ned Scott and Dan Larimer are the two founders of Steem and Steemit. Dan Larimer is a renowned blockchain developer and did work with EOS as well. The two launched the Steemit platform with the concept of integrating blockchain technology for a social networking platform in 2016. Is Steem Legal In My Jurisdiction? In any jurisdiction or residence where cryptocurrencies are considered to be legal tender, Steem is also considered to be legal. It hasn’t been necessarily singled out by any legal bodies and regulators in particular and it doesn’t seem very likely, however, the standard for crypto regulation is always consistently changing so it’s important to stay up to date and make sure with any legal representatives you might be in contact with that Steem is okay to use on your end. Can Steem Make Me Rich? Steem saw a meteoric rise in 2017 along with the rest of the cryptocurrency market, so assessing whether or not it can get you rich is really dependent on your own input and willingness to contribute and what your own definition of ‘getting rich with crypto’ really means. People have historically gotten rich with cryptocurrencies and they’ve helped to turn people with smaller investments into holders of large scale investments, however, historical performance does indicate future results. That should be kept in mind when asking the question of whether or not Steem can get one rich. Is Steem a Good Long Term Investment? Steem as a long-term investment should be analyzed and assessed on a very subjective basis. Depending on your risk-tolerance, your portfolio preference, and a few other options, the reality of fitting well with your portfolio is really just dependent on your own input. Steem can prove as a great fit for some investors, and it can show as a bad idea for other portfolios. It’s subjective; in any case, though, in order for Steem to be considered a good long-term solution, the Steem ecosystem has to keep growing; it has shown it has the capability to do this, and the future in regards to consistency looks promising. 3 (Step by Step) How to buy STEEM on eToro? 6 How to trade Steem with a trading robot? 8 How to sell Steem? Which steem wallet is the best to keep coins ? It is interesting that Steem owns a social media platform. Have you ever wondered about using Steem in some other ways?